I have had the opportunity recently to catch up on some reading, and I have been enjoying immensely Goethe’s Italian Journey. The translation I have been reading is the 1962 Penguin Classic translated by W.H. Auden and Elizabeth Mayer. This has been a quite inspirational read, and in this post I wanted to sketch out some of my own notes, impressions and insights. Goethe had achieved great fame as a poet and author in his twenties, but in 1775 at the age of 26 he escaped to Weimar, at the request of the extremely young eighteen-year old Duke and Duchess, where he took up duties as a civil servant, at times having responsibility for mines, the War Department, and state finances. 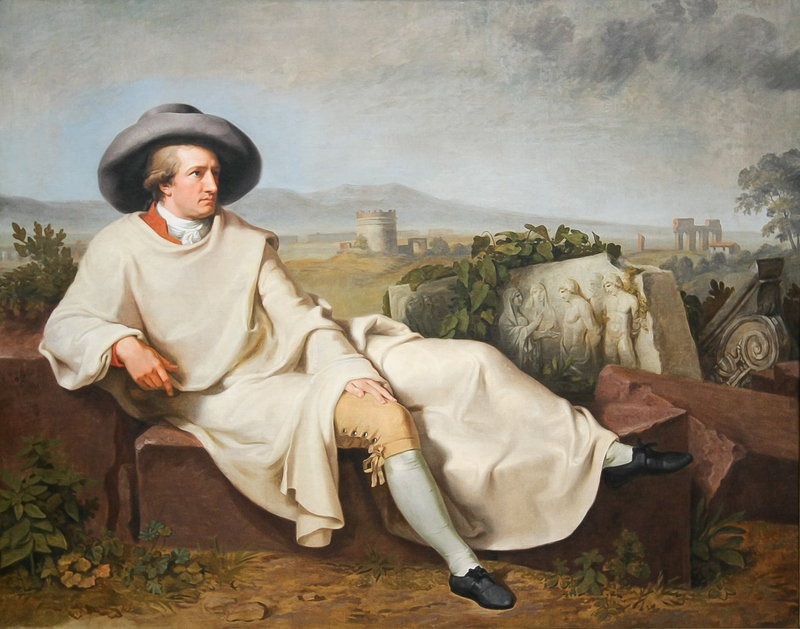 By 1786, as we are told by the translators, Goethe was on the brink of a nervous breakdown, and so stealing himself away in the dead of night, he followed his dream to tour Italy, escaping to improve his painting, and to steep himself in a study of classical architecture, sculpture, and painting. One of the things I have learnt most from studying Goethe, his science much more than his poetry, is his way of observing the world. In this journey not only does Goethe contemplate the arts, but at each and every moment he is observing the changing landscapes not just with the eyes of an artist, but through the eyes of a highly accomplished scientist. I am most familiar with his works on colour and plants, but in this journey we discover just how much Goethe delights in his study of mineralogy and geology. I console myself with the thought that, in our statistically minded times, all this has probably already been printed in books which one can consult if need arise. At present I am preoccupied with sense-impressions to which no book or picture can do justice. The truth is that, in putting my powers of observation to the test, I have found a new interest in life. How far will my scientific and general knowledge take me? Can I learn to look at things with clear, fresh eyes? How much can I take in in a single glance? Can the grooves of old mental habits be effaced? Look at just how modern this quote seems. Could it not equally apply to this current age, with an obsession with data, big data, where we have lost a sense of the meaning of our human and lived experience? Look at how mindful Goethe is consciously attempting to be, not wanting to lose himself in abstract and intellectual thought. One may say what one likes about the written or the spoken word, but there are very few occasions when it suffices. It certainly cannot communicate the unique character of any experience, not even in matters of mind. The artists like giving me lessons because I am quick to understand. 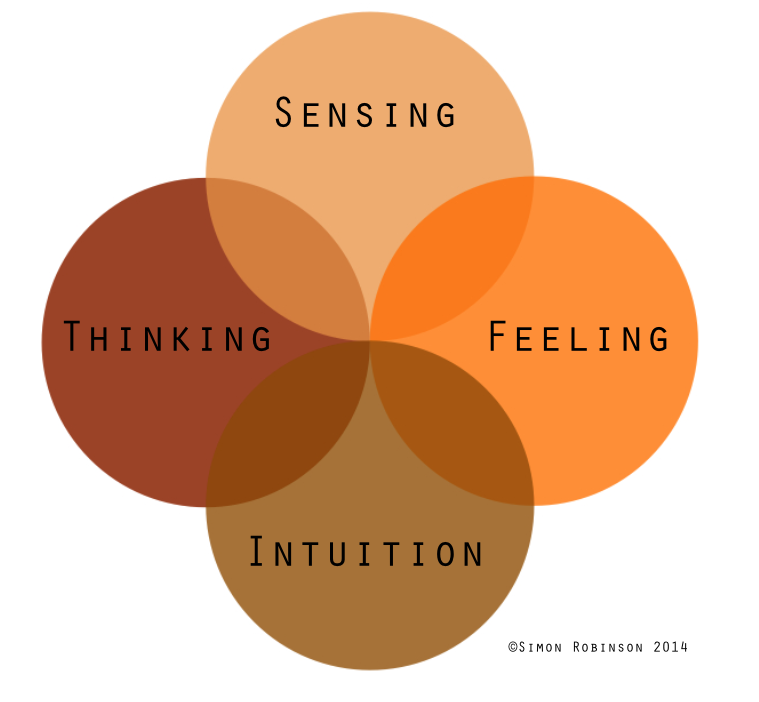 But understanding is not the same as doing. Quickness of understanding is a mental faculty, but right doing requires the practice of a lifetime. However, feeble as his efforts may be, the amateur should not despair. The few lines I draw on the paper, often too hasty and seldom exact, help me to a better comprehension of physical objects. The more closely and precisely one observes particulars, the sooner one arrives at a perception of the whole. My old habit of sticking to the objective and concrete has given me an ability to read things at sight, so to speak, and I am happy to think that I now carry in my soul a picture of Sicily, that unique and beautiful island, which is clear, authentic and complete. I am on the way to establishing important new relations and discovering the manner in which Nature, with incomparable power, develops the greatest complexity from the simple. If you talk with many complexity scientists, they will tell you that new insights from both the study of complex and chaotic systems in the last few decades has allowed scientists to begin to reach this type of insight. 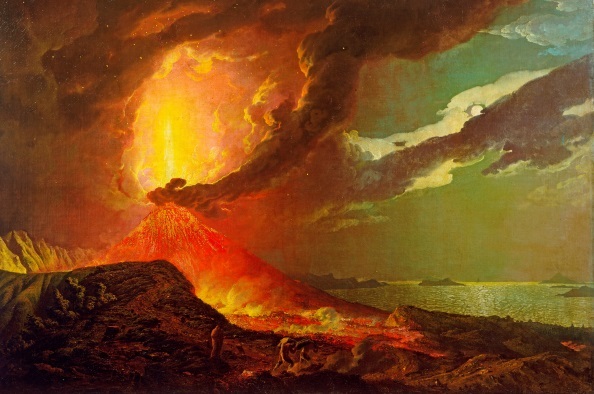 But here we have Goethe, without the aid of monumental computational power, gaining these same insights through his deep powers of observation of the dynamic processes in nature. I highlight the word dynamic here since in this scientific era, the social order was one of stability. Religion dominated the social order, and nature was seen as stable. But here we see Goethe with a determination to master his skills in concrete observation, and see what is actually in front of his eyes, rather than allowing social norms to hijack his thinking process. Goethe, being of the greatest writers of his time, proves to be one of the greatest travel journalists of his time, and many of his trials and tribulations, which describes with both equanimity and at time great humour, appear quite familiar to the modern reader, such as the litter-strewn streets of Palermo, which can be attributed to the embezzlement of public funds by the politicians, just as we see in São Paulo and my new country of Brazil today. My botanical insights are taking me further and further. My basic hypothesis remains the same, but to work everything out would take a lifetime. One day, perhaps, I will be capable of giving a general outline. What I have always said has been confirmed: there are certain natural phenomena and certain confused ideas which can be understood and straightened out only in this country. Suddenly I had a flash of insight concerning my botanical ideas. Please tell Herder that I am very near to discovering the secret of the Primal Plant. I am only afraid that no one will recognise it in the rest of the plant world. My famous theory about the cotyledons has now been so elaborated that it would be difficult to take it any further. What Goethe is attempting to do is to understand the dynamics of the plant in itself, without recourse to an intellectual framework or theory. He is moving from concrete observation directly to intuitive insight, hence his concern that his notion of the plant will not be understood. It bears repeating just how much Goethe is doing on this journey. Undertaking the development of his theory of the metamorphosis of plants would be a gargantuan task for any mere mortal, but Goethe is doing this while developing a number of poems and plays including Iphigenie and Tauris (sometimes while suffering seasickness), sight-seeing, letter-writing, taking drawing lessons, collecting minerals and gems, and also while being the guest of countless members of the aristocracy although in principle attempting to remain incognito. Here where, instead of being grown in pots or under glass as they are with us, plants are allowed to grow freely in the open fresh air and fulfil their natural destiny, they become more intelligible. Seeing such a variety of new and renewed forms, my old fancy suddenly came back to my mind: Among this multitude might I not discover the Primal Plant? There certainly must be one. Otherwise, how could I recognise that this or that form was a plant if all were not built upon the same basic model? The Primal Plant is going to be the strangest creature in the world, which Nature herself shall envy me. With this model and the key to it, it will be possible to go on for ever inventing plants and know that their existence i slogical; that is to say, if they do not actually exist, they could, for they are not the shadowy phantoms of a vain imagination, but possess an inner necessity and truth. The same law will be applicable to all other living organisms. Goethe is understanding the coming-into-being of the plant, and is perceiving the intrinsic and dynamic dimension of nature which is only accessible to the intuition. He is attempting to articulate the fact that he is comprehending a real phenomena and not just one that is subjective and which is imagining. This is a radically different approach to understanding phenomena in nature, and as we shall see, also contributes to Goethe’s personal transformation, one which he only fleetingly references. Now I have arrived, I have calmed down and fee as if I have found a peace that will last for my whole life. Because, if I may say so, as soon as one sees with one’s own eyes the whole which one has hitherto only known in fragments and chaotically, a new life begins. I have seen and thought even more. The world is opening itself to me more and more, and all that I have long known intellectually is now becoming part of me. What an early-to-know, late-to-practice creature man is! The rebirth which is transforming me from within continues. Though I expected really to learn something here, I never thought I should have to start at the bottom of the school and have to learn or completely relearn so much. But now I have realised this and accepted it, I find the more I give up my old habits of thought, the happier I am. May Heaven grant that, on my return, the moral effect of having lived in a larger world will be noticeable, for I am convinced that my moral sense is undergoing as great a transformatio9n as my aesthetic. In this article I have just tried to provide a few of my own sketches, pencilled outlines which give a small taste of the feast of this travelogue. It remains essential reading for those who enjoy the classics, but also will inspire many who are looking for a more authentic way of being in the world. Goethe’s writing is sensational for me, insightful, poetic, contemporary and descriptive, almost as if we are looking through Goethe’s self-same eyes. Nowadays Youtube is full of GoPro camera footage recorded from the helmets of sports enthusiasts, giving us ever more intimate perspectives on activities we will never ourselves undertake. But Goethe takes us internally, via the sensual, into his intuitive perception, and that is a priceless experience very few have managed to articulate even to this day. Finally got to read this…wonderful, thank you! I can’t get enough of Goethe and this gives me the perspective on this part of his life I was seeking. 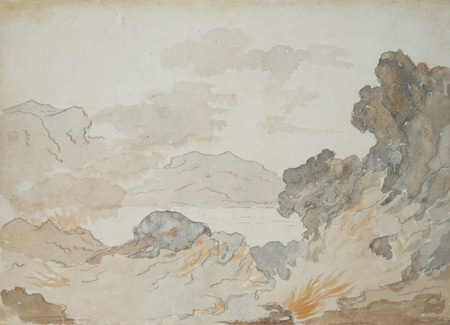 Hi do you know where Goethe’s sketches and drawings are collected and held? How could I find out? I do not know where the majority of them are held. The British Library’s Stefan Zweig collection has a small number.